Use the small "Share" button at the end of each article to share the contents of that article via your favourite social network. The button also allows you to share the article with a friend directly, by emailing them a link to the article. iRace competitor Jon Newell - running the 1977 Triumph TR7 V8 has been owner / operator of Acclaim Security for 25 years. The business specialises in latest technology security alarms and surveillance systems for homes and businesses as well as providing back-to-base monitoring as a bureau for several Grade 1 monitoring facilities. There have been massive changes in the way security systems work in the last few years. 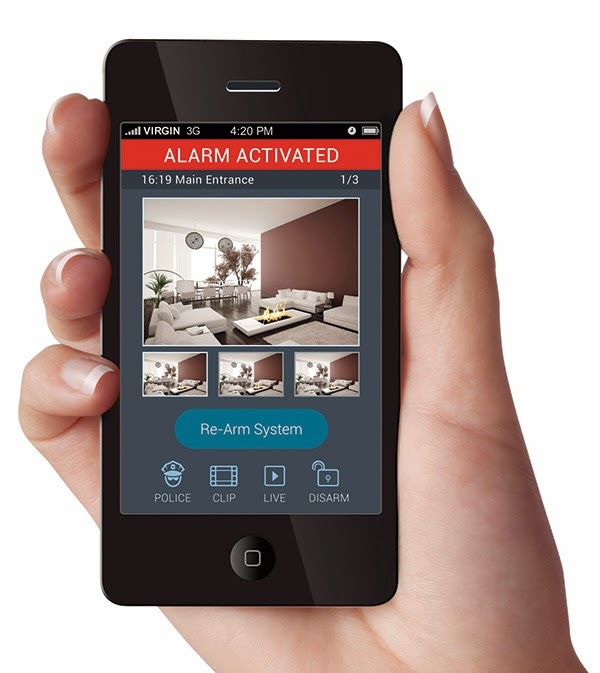 Systems with Alarm Verification and smartphone integration are spearheading a revolution. Our premier system, the Risco Agility3, is a fully wireless solution and features motion detectors which also have a camera. What this does is take snapshots of what triggers the alarm and then send that along with an instant notification to your smartphone and / or security monitoring. You can fully control the alarm from the App and a great feature for businesses is that you can change user access codes easily from a web browser. Risco also has a very smart hybrid security system called Lightsys2 – it features the same smartphone App but it’s ideal to take over any existing hard wired security system to give you these great features. You can even do things like open doors from the App – so we’ve setup some businesses with an access control strike on a door so they can let couriers in to make a delivery or pick-up if there’s no-one there. Another great feature is the pending release of Risco VUpoint IP cameras which will integrate with both the Agility3 and Lightsys2 to give live video clips of alarm activations and the ability to login and view live video. With alarm verification you get images or video of what triggered the alarm – rather than having to login to a surveillance system to search and playback an event to see if there is someone there. We’re supplying more systems for people that want to DIY too, which saves you money. We use wireless alarms and pre-program them so you just take it out of the box and install – CCTV systems come in kit with the cables so they’re pretty much plug and play. The best surveillance systems are IP Megapixel systems – even 1 Megapixel is 4x the resolution of the best analogue / coax system – although if you have cameras installed on coax you can upgrade to HD 1080P analogue or we can use converters to run data over coax too. There’s always a solution – a bit like building a race car – it all comes down to your budget. If you’re looking for to upgrade your security, get a better deal on your monitoring, or just good advice about protecting your racing cars, then please call. 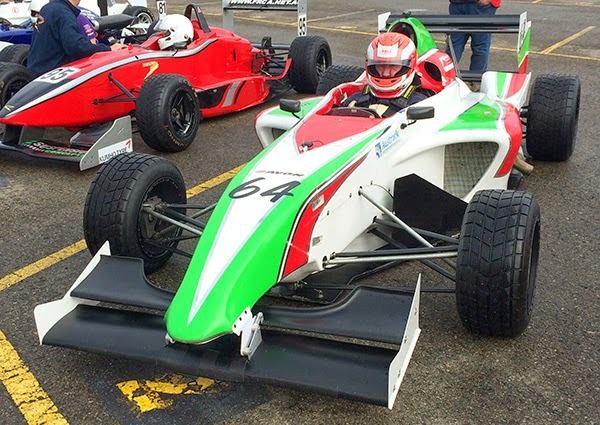 At the last round we had two Speads RM11s which were only a little off the pace of the Formula 3 cars in our Formula Tasman "Lightning" Class for under 2L wings and slicks single-seaters. So we thought it would be a good time to review the F1000s. These attractive cars have composite chassis and high powered motor cycle engines. A rear diffuser gives maximum ground effect down-force. In Australia they are available from AP Racing who are the importer for Stohr and West Race Cars who import the Firmans. AP Racing have a car in Australia for sale. And West have a car available in Australia for lease. A beautiful looking car, near 200 horsepower and sticky tires – what can be better? Plus the thrill of a single seat racing car – no roof – it’s you against the world. You can be racing in the iRace RocketSports category. The Chilli Rowdster is not a Historic Car, it is a new car utilising a donor ’H’ series Holden to supply the motor, running gear and front & rear ends. The body is a widened 1962 ‘replica’ Indianapolis Watson Roadster. The jig built ‘Formula Q’ chassis is a simple combination of a series of hoops connected by two main rails extending from the original front sub frame. The standard HQ-HZ suspension components bolt straight on and is capable of taking any type of body shape and motor. The basic Rowdster can be built for the sole purpose of track use or built up for road use as well by using mainly standard donor car parts. The ‘Formula Q’ Chassis: The basic chassis is jig built, has reassuringly large box section side members, roll-bar spec tubular cross member hoops and cleverly incorporates the HQ front sub frame and double wishbones for good geometry and the rear retains the live rear axle with four link trailing arms. Despite the modest mechanical specification, at around 800kg it weighs a lot less than a HQ so the performance is rapid with good brakes, safe handling and of course reliability. The ‘Chilli Rowdster’ Body: The fibreglass body shell is based on the traditional late 50’s – early 60’s Watson Indy Roadster. It is just over 200mm wider than the original Watson Roadsters to allow a cosy second seat. The Race Car: The car is the standard ‘Formula Q’ chassis, ‘Chilli Rowdster’ body but with a few ‘go fast’ and safety bits added. The motor is either a 202 or 3.3 block with race spec internals running at around 12:1 compression and triple carbs which requies avgas or 98 Octane or higher for reliability reasons. The gearbox is either the M21 4 speed or the Celica/Supra 5 speed running back to a LSD Banjo or Salisbury rear end. The rear brakes are upgraded to late model Commodore, with adjustable bias valve placed in the cockpit. The wheels are either 17 or 18 inch running 8 inch on the front and 11 inch on the rear wrapped in a full slick tyres. The motor is a standard 202 bottom, with a HQ race cam and the head has had a little work. The gas system runs the Gas Research Carby on the bigger two barrel manifold. The gearbox is a 3 speed M20 and runs back to a standard Banjo rear end. The wheels are commonly available 14 or 15 inch and in keeping with the sporting intention, the vehicle is fitted out with a CAMS spec Roll Bar, harness and extinguisher. There is currently an upgrade in progress to a late model Ecotec V6 motor from a VZ Commodore which includes the 6 speed manual transmission. Let’s face it: motor racing remains one of the most dangerous sports even if the participants are mainly amateurs living their passion on the side. But racing suits didn’t start with motor racing. At first, racing drivers were driving wearing their everyday life clothes (which were non-fireproofed, with limited abrasion and which could be potentially caught into parts of the car and yet hard to drag a driver out of the car in case of a crash). The first ergonomic suits started to appear in the 1950's. Following numerous fatalities in fires, the first fireproofed models would appear in the 1960's. It would take another decade to see the first made-to-measure racing suits and another one to see breathable garments. All-in-all several decades were necessary to get innovated racing suits answering both safety and comfort needs. Motor racing shouldn't be a threat to drivers but only a passion and as much as safety, comfort is essential. Thus, as active and passive safety exists for a car, it does so for the driver's equipment and especially for racing suits. Passive safety defines all the racing suit technical characteristics which will allow to ensure the driver's safety once a fire breaks out. Basically two notions are concerned: fireproofing and climbing out of the car. Motor racing standards (FIA, SFI, etc…) enable to control these notions well. In a nutshell standards define the fire and heat resistance time limit within which a driver must climb out or be dragged out of the car. The fiber used in the fabric of most fireproofed racing suits is aramid originally developed by DuPont de Nemours for occupations such as firemen or astronauts where fire risks were involved. This fiber is a real barrier against fire in various and more or less thin configurations depending on sewing processes. are far more performing. Therefore two-layer suits made of specially studied fabric are better than three-layer suits made of "basic" fabric. The whole Stand 21 range of racing suits is FIA 8856-2000 and SFI 3.2A Level 5 homologated with only two layers instead of the three used by most of competitors. Moreover, today's racing suits are one-piece suits and not two-pieces (as in the past) to prevent the flames to find holes and get to the body. non-fireproofed and must never be in contact with the driver's skin; it would cause severe burns in case of a fire. This means sponsors embroideries can only be done while manufacturing the suit or by using badges with an ISO 15025A background and sewn with ISO 15025A thread. However passive safety relies also on the ergonomic aspect of the suit regarding the driver’s dragging out of the car in case of a crash. The suit configuration must prevent any pieces of the suit to be caught on any cockpits elements. Shoulder straps are also necessary and compulsory (within the FIA 8856-2000 standard) for medical staff to pull a driver out of the car. With the HANS appearing, some shoulder straps had to evolve to be able to grab the driver even with this new system on. As for cars, when we think safety, we think passive safety. We are wrong. The most important notion is actually active safety. Indeed, if passive safety protects the driver in crashes, active safety prevents those same crashes from happening. That way we win on both sides: less physical damage and less mechanical damage. It can be done through optimum comfort in the driver’s equipment. - A freedom of movement at key points and optimized by a made-to-measure cut and most of all a stretchable fabric. "Early on, our main care was to adapt the racing suit to the driver" Yves Morizot, Stand 21 chairman and creator, said. "That’s why, in the early 1980's, we entirely focused on developing a completely stretchable and breathable fabric we are still the only one to offer." - A battle against heat stress which can lead to collapse while racing. The Heat Stress Program started by Stand 21 in 2004 (alongside with a scientific and medical team from around the world involved in various motor racing series), showed that inside a racing car, temperature could easily reach 70°C and humidity 60% whereas air flows were limited due to aerodynamics. heat storage within the suit and an accumulation of sweat on the skin surface. If the skin can no longer breathe, the body core temperature will rise. Hyperthermia mixed with adrenaline (due to racing) increases driving errors dramatically and even leads to a crash. Meanwhile, heartbeats are intensifying. 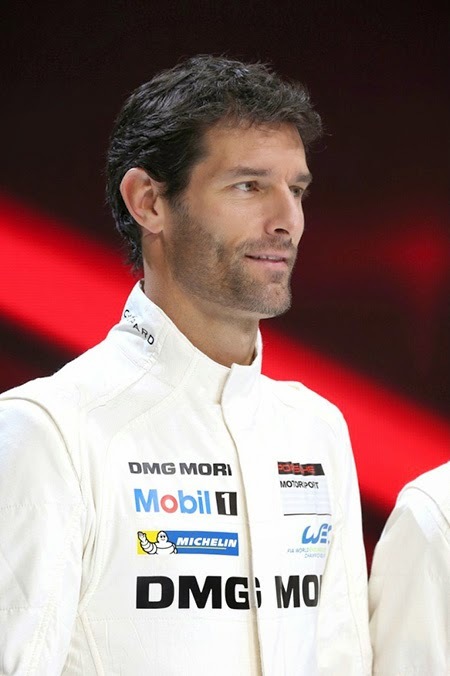 It is therefore easier to see that the financial difference between a regular suit and a perfectly adapted breathable racing suit is widely refunded due to optimum driving comfort and less damage whether physical and material. But today besides safety and performance, promotion plays a big role. Indeed a driver whishes to have a good look and because teams must promote themselves and their sponsors, two customization options exist. "At Stand 21, the credo is to dress the racing driver made-to-measure and from head to toe to one’s colors. Stand 21 was the first manufacturer to offer made-to-measure racing suits with full customization." Chad Outz at Stand 21 Georgia said. In Vintage racing where a graphic chart (matching the driver’s equipment to the colors and era of the car) is so important, it is essential to find the proper racing suit with both optimum safety and comfort. Yesterday’s look and tomorrow's technology are powerful allies. Motor racing has two primary purposes, the first is to show who is the quicker driver and the second is to drive the development of new technology which will eventually benefit the cars we drive on the road. iRace announces that it has become a supporter of Formula 0 ™ which is the hub for zero emission racing cars. 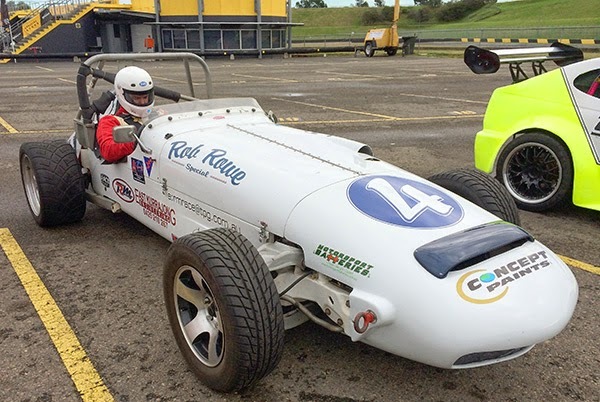 Electric Formula Cars will be displaying one of their vehicles at the iRace round at Sydney Motorsport Park, so come along and say hello to them. It was with sadness that we learned of the passing of Sir Jack Brabham and we extend our sincerest sympathies to his family. So often the terms "star" or "legend" are bandied around loosely, but in Jack's case they were truely earned. He was the Formula 1 World Champion in 1959, 1960 and 1966. In partnership with his friend and fellow Aussie hero Ron Tauranac, he also won the Constructors Championship in a car bearing his own name. A feat that has never been repeated. Jack is also responsible for lifting Australian motorsport at all levels, both by his direct actions and by being a living example of what can be achieved with grit and determination. May you rest in peace Jack, you will be sorely missed and forever revered. The HANS device (Head And Neck Support device) was designed by Dr. Robert Hubbard, a professor of biomechanical engineering at Michigan State University in the early eighties. He was motivated by the death of his motor racing friend Jim Downing. Like many other unfortunate drivers, Jim had died from head injuries after a collision. The difficulty is caused when a driver’s body is restrained by belts, but the violent stop causes the head to keep moving and extending the neck. This can cause a Basilar skull fracture resulting in serious injury or immediate death. This is what killed Ayrton Senna in the 1994 San Marino Formula One Grand Prix. A HANS device is attached to the body and has straps going to the helmet that help maintain the relative position of the head. Motor racing is dangerous and as drivers we accept that, but it is better to do everything to mitigate those risks that are easily addressed and then feel confident to go hard on the track. We owe it not just to ourselves, but to our families and the marshalls that take care of us. Two of the leading motorsport suppliers have been generous enough to provide significant discounts to iRace competitors to make the transition easier. Stand 21 can supply iRace competitors with HANS & Helmet packages using Stand 21 Club Series HANS device and posts, along with R-Jays Snell SA2010 spec helmets, for a special price as noted below. Prices are inclusive of freight. Full Face Daytona helmet, HANS, attachment posts & freight package:$850. 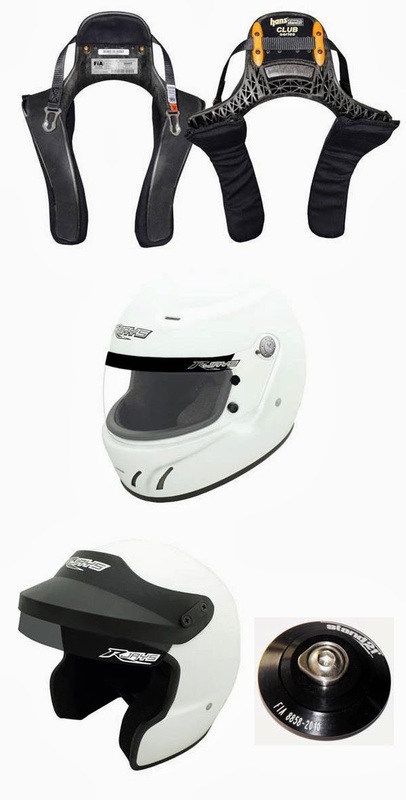 Rally Open Face helmet, HANS, attachment posts & freight package: $775. Otherwise we can supply the Club Series HANS only for $599 plus postage, if a competitor already has an Snell SA spec helmet. Revolution Racegear Auburn would like to offer IRACE a bulk price on Hans devices and or helmet and Hans device packages. Based on a group buy of 10 or more Hans Device Sport2 Medium or Large, Hans Post’s and sliding tethers included. X10 or more @ $559.20 inc with Hans posts and sliding tethers. Bell R-1 Helmet and Hans sport2 device $969 inc.
We can also offer different helmet and Hans packages if the customer is interested in a different style of helmet. Postage is also available at a cost of $15. This is a limited time offer while stocks last. Lay people often believe that being a good racing driver is just about having fast reaction times and being prepared to take more risks than anyone else. As soon as you become actively involved in the sport, you soon realise it is about assembling a multitude of talents and resources. For a driver who wishes to build a career, there are four key areas they need to master. If any are missed it is like a table missing legs, it will inevitably fall over. Don Bradman may have been able to develop his cricket skills by spending hours hitting a golf ball against the wall with a cricket stump, but it is not that easy in racing. Time in a car costs money. Having access to the best equipment costs money, and it soon adds up. Now a young driver may have an enthusiastic family backing him through karts and the lower formulas, but sooner or later the expenses become painful. It is therefore essential at an early age to develop business acumen. This is a great life skill that will stand a driver in good stead, regardless of whether he fulfils all his driving aspirations. When presenting a sponsorship proposal many novices give a statement of how much TV time that their car got and extrapolate it out with the TVC (television commercial) rate. This then equates to some huge mythical amount of money. However, any Marketing Manager or Managing Director will find this comical as a sticker on a car full of stickers, amongst other cars full of stickers, on a track full of signage, isn't equivalent to a dedicated company commercial. So to provide value to a sponsor a driver must be able to make them feel important at the track, to proactively network them with other people they can do business with, and be of sufficient interest to get relevant media coverage. Lay people cannot understand that driving a car could possibly take a significant amount of effort. They do not appreciate the effect of G forces, or adrenaline that doesn't get fully burnt. When elite racing drivers attend the Institute of Sport they constantly surprise with their athleticism. You need to be at a level not just to be able to handle the strains, but to do so with ease so they are not a distraction. There have been many drivers that do well in the lower formulas, but then fail to deliver as they advance. This is due to a lack of technical understanding in order to get the most from the car. The further they progress, the narrower the variance in driver ability and consequently the more critical is the car setup. Which of the four pillars are you best at? Are there any you avoid? As you dip below the surface as a motor racing fan you recognise that every driver and team bring a different mix to the table. The competition may not always be equal or "fair", but it is always fascinating. And aren't the best times when a Senna performs a David and Goliath act by taking a Toleman and humiliating the might of the most established teams? Racing is a mental activity. Everything is processed through your brain. Some of it consciously, and some unconsciously. Some automatic, and some with a lot of effort. The most effective and efficient way to improve laptimes is not to spend thousands of dollars on more powerful engines or sticky tyres, it’s to spend maybe thirty dollars on a book and invest the time required to learn and practice the knowledge contained within. That racing is a mental activity is well understood by the world’s most successful racers. Those at the top level know that having a mental edge can be the difference between winning and being mid or rear field. They spend a lot of time and money on coaches, training and psychology in order to win. You can tap into this too, and for a tiny fraction of what the top guys spend. There are a handful of racers willing to write down all the things that they have spent countless hours and dollars learning in order to win. Many of you will already have at least one Carroll Smith book. Most of you will have learned about ‘Think Fast’ by Neil Roberts from us last year. Now we’ve teamed up with Jon Newell to get the word out about another fantastic opportunity. Speed Secrets by Ross Bentley is an awesome series of books sharing many of the secrets he learned while racing CART Indycars, and winning the Daytona 24 hour race, and even more that he has learned since in his quest to figure out what separates the winners from the also-rans. Ross Bentley has combined all the most useful parts of his earlier books into one essential volume - Ultimate Speed Secrets. www.speedsecrets.com.au are giving away a copy of Ultimate Speed Secrets at each round of the 2012 Independent Race Series. The book will be awarded to the driver judged to be considered ‘most promising’ at each round. The book went to Peter Robinson at Round 1. If you want to know all the secrets now (and you should), you can buy a copy here, and it’s also available as a Kindle eBook here. And if you really want to take it to the next level, head over to speedsecrets.com.au and sign up to their mailing list to receive all the information about the Ultimate Speed Secrets seminars that Jon Newell is collaborating with Ross Bentley and iRace to organize for 2013. You can also get information on Ross Bentley's terrific iPhone Driver Coach app. At iRace we work hard to promote hard, fair racing. We want the drivers in our series to develop, and to gain the maximum benefit from racing with us. We've evolved a variety of different race formats, including rolling starts, reverse grid races, and perhaps the most beneficial of all, the handicap race format. The handicap race format allows cars and drivers of all different speeds to race together, and for everyone to have a chance of winning. The basic concept is that the slowest cars start first, with faster cars released in groups at calculated time intervals. In Acuform Muscle Division and K-Mac Touring Car Challenge, we spend a lot of time trying to perfect the groupings, and the time delay. We work out the delay based on the average laptime for each group (taking the fastest time for each member of the group and then averaging from there), and such that the groups should all come together at around 80 percent race distance. This leaves the remaining 20 percent of the race for overtaking. For example in a 10 lap race, we'll try to get everyone to merge on lap 8, with laps 9 and 10 where all the action happens, and the final race result is decided. Occasionally things work out perfectly, and we'll have the whole field covered by 10 or 20 seconds as they greet the chequered flag. How can drivers maximise their chance of winning? Consistency. If you are able to put in the same laptimes lap after lap, you'll give yourself the best chance of being at the front at the finish. Spin, make a mistake, or lose time on the odd lap trying to hard, and you'll struggle to either: a) hold onto the lead you have (if you started at the head of the field), or b) make up ground on the slower cars ahead. Consistency is the key. Some other top tips include: try not to lose time being overtaken, the best option is to brake a little early and let a faster car by - this will lose you the least amount of time (unless it's the last lap and you have a chance of keeping the lead! ), if you are chasing, be patient - it's tempting to go hell for leather trying to catch the cars you can see so far ahead, but try to pace yourself, drive your markers, and put in smooth consistent laps (pushing too hard risks making mistakes and losing time). If you are out front early, just put your head down and go, go, go. When you get it right, and handicap race can be the most fun you'll ever have in a racecar. It offers racecraft, strategy, overtaking, being overtaken, and best of all, a thrilling finish. We were able to put together the following video, showing the perspective of cars at either end of the field as they make their way through a handicap race. Enjoy!